Radicchio, also referred to as Italian Chicory, is part of the Asteraceae family which includes lettuce, sunflowers, artichokes and safflowers. This leafy chicory is easily identified by its white veined deep red leaves. Interestingly, the radicchio varieties are named after the Italian regions from where they originate. Most Italian radicchio is grown in the Northern region of Veneto. The most familiar variety in the United States is radicchio di Chioggia which is about the size of a grapefruit. There are many other varieties including radicchio rosso di Treviso which looks like a large red Belgium endive. To see more varieties of Italian radicchios go to this article by Italy Magazine and for information on four varieties you should know check out this page from Bon Appetit. 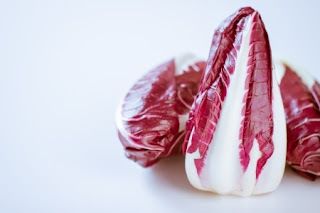 Radicchio varieties are so important to the Italians that several farmers, including the farmers of Veneto, have sought Protected Geographical Status, allowing only radicchio genuinely originating from a specified region to be identified as such in commerce. If you want to meet an Italian farmer up close who is growing some of the best radicchio in the world go here. 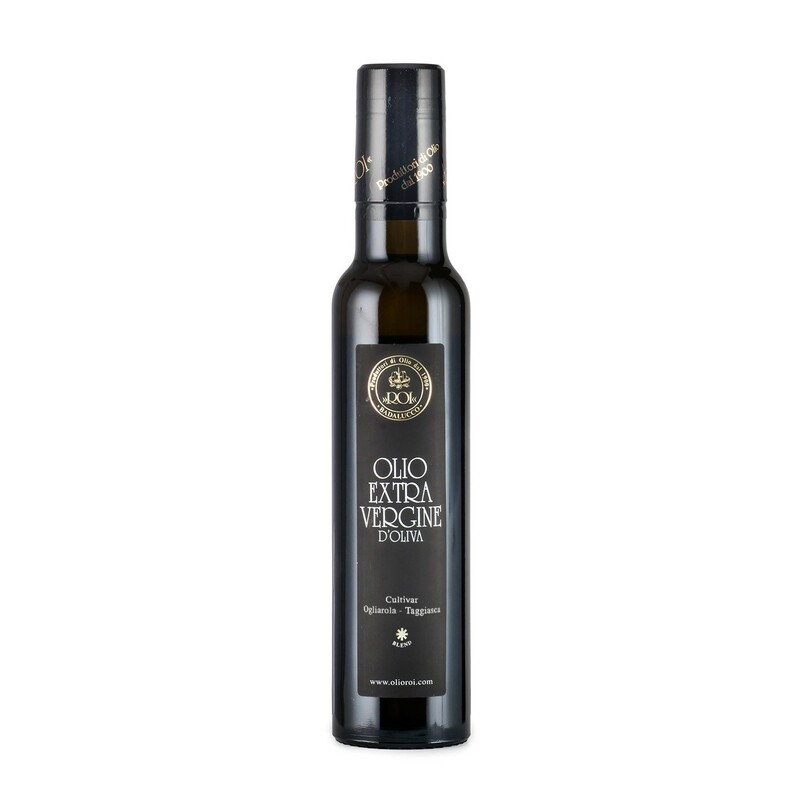 The modern cultivation of radicchio began in the 15th century in the Veneto and Tretino regions of Italy. The deep red radicchio we know today was developed in the 1860’s by a Belgium agronomist named Francesco Van de Borre. He utilized a technique called imbianchimento (whitening), pre-forcing or blanching which creates the dark red, white veined leaves. In this process the plant is taken from the ground and placed in water in darkened sheds where the lack of light inhibits the production of chlorophyll and the plants lose their green pigmentation. To learn more about the complexities of growing radicchio and some great recipes go to this article from the New York Times. Did you know radicchio contains intybin, a sedative/analgesic? Pliny the Elder, a Roman author and naturalist, declared radicchio to be a blood purifier and an aid for insomniacs. And that the radicchio was first grown commercially in the United States in California in 1981? For more interesting information about radicchio go to this page from hungrymonster.com. Store radicchio unwashed and wrapped in a paper towel in a bag and in the crisper drawer of your refrigerator for up to a week. Radicchio is a cholesterol free and rich source of dietary fiber. It also contains several vitamins and minerals including Selenium, Phosphorus, Potassium, Calcium, B Vitamins as well as Vitamin A, C, K, E and Folate. The bitter taste of radicchio is due to lactucopican (intybin) which is a potent antimalarial agent and has a sedative and analgesic (painkiller) effect. Radicchio is low in calories and has plenty of fiber to keep one satiated which aids in weight loss. The high fiber content also aids in digestion and prevention of colon diseases. It is high in antioxidants that prevent cancer, heart disease and diabetes. Radicchio has a spicy and slightly bitter taste. Italians rarely eat radicchio in a salad but prefer to eat it solo grilled with a simple olive oil accompaniment. Radicchio does mellow with cooking. Radicchio can certainly be eaten raw, but is perfect sautéed, braised, grilled and roasted. For a tip on how to take the bitter taste out of your radicchio check out this article from The Miami Herald with recipe included.